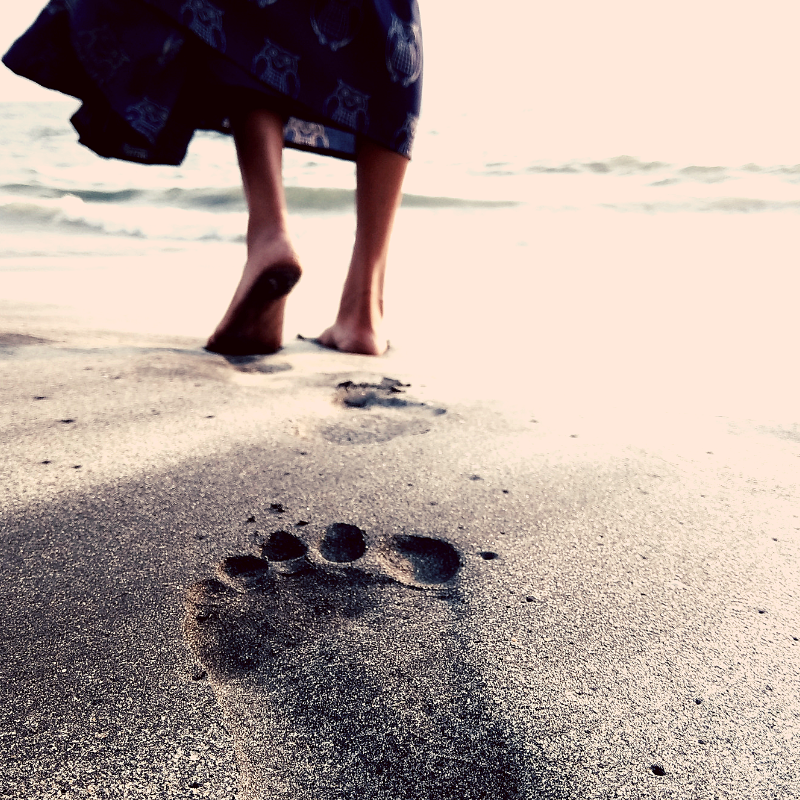 Your past has led you to where you are right now – but your future is liberated from the foot prints behind you. My daughter will be turning three at the end of this month, and as I started planning for her birthday, memories of my childhood birthday parties surfaced – most were clouded in disappointment and rigidity. I grew up in a single parent household with two other siblings. I was the shy middle child who understood more than a five-year-old should, and took on all the family problems. Tensions around holidays or celebrations were always high because it was a blinding reminder of how tight money was. As the peace keeper I remember telling my mom that I didn’t need a party, or a cake, or any presents in an effort to spare her stress or concern about not being able to provide for me. These memories started flooding in and I began asking myself: How was I going to make sure my daughter didn’t have a birthday like mine? How can I make sure she will not have to worry about money or tension on the day meant to celebrate her? How can I raise her to be confident in who she is – and know she is worth a million-dollar birthday celebration? I experience moments when my past creeps in and reminds me of all the ways I want to live differently, better, and intentionally compared to how I was raised. Even though parenting stirs up a lot of memories, I also reminisce when I change jobs, move, lose or gain money, or when I have a freaking bad day. My past seems tethered to how I decide what my future will look like – either similar to or completely opposite from how I was raised. Regardless of which direction I choose I am still attaching my choices to events or emotions from childhood experiences. My next steps are dictated by previous foot prints. I realized I needed to untether myself from who I was as that five-year-old girl not asking for the bakery Oreo cookie cake that was beautifully decorated, but the dollar box cake and icing to spare my mom’s bank account. I needed to untether myself from the lonely misfit in a full house who never knew where she belonged or how worthy she was of this life. I needed to untether myself from my past in order to live fully in the present. I know this is a buzz word but it is so powerful. If you have a daily gratitude journal, choose one thing from your past to be grateful for. I typically shoot for at least ten things I am grateful for per day, and will purposefully think of a past situation which relates to the events or emotions of the day. This helps shift your mindset from negativity or shame , to all the amazing life lessons you’ve gained. It is possible to change and choose an emotional response – and choosing gratitude rather than bitterness or pain elevates your energy. Have you ever heard a song from your high school days and either started singing along with it or quickly changed the playlist? This is because the song likely triggered either a positive or negative emotion connected to the memory of the song. We do this in most, if not all, of our daily decisions as well. When you make a quick judgement or choice, try stepping back to ask yourself: Is this dictated by a past emotion or experience? If not, accept that and move forward – but if it is, then untether from that experience. When I need to untether from my past, I will meditate on literally cutting the cord between my past self to my present self: who I was to who I am. Start by remembering who you were in that memory – the past experience or emotion. Notice the images, sounds, and feelings of the memory. It is helpful to sit in this memory for a few moments and really take in what you see, hear, and feel. Then thank the memory for what it is – what it has taught you. After giving gratitude for that memory, look down and find where the cord is attached to your body. I cut the cord that is tied to you with a pair of scissors, a knife, a sword (your preference) and mentally see this memory float away. Notice if you feel free and light. You can repeat the meditation if the feeling of being untethered is not established. Living a life untethered and free of your past means finding joy in the present of today.